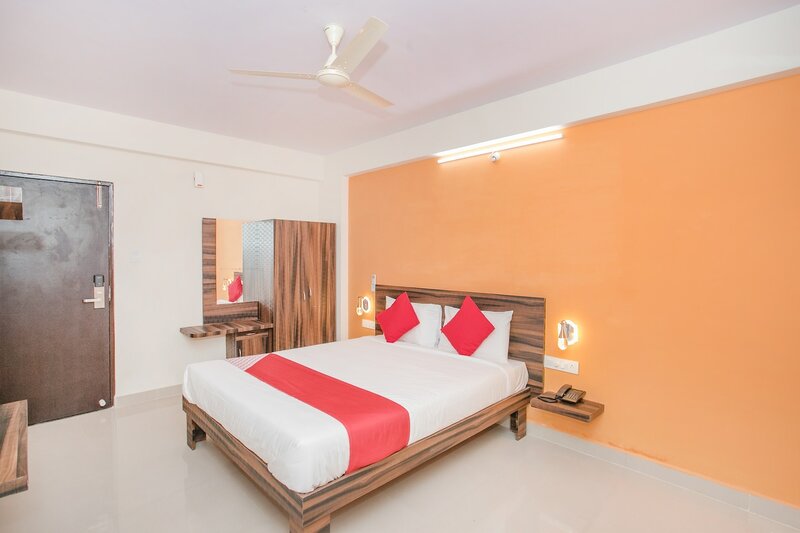 Enjoy the best of Whitefield in Bangalore at PMR Hotel with its comfortable rooms and modern amenities, all at an affordable price.Guests are welcome to a bright and colourful room, spacious living and various wooden furnishing. The bedding is comfortable and bedside light adds a modern elegance which also allows for a bedtime reading. Wooden cabinet adds a beautiful touch to the rooms ambiance offers plenty of storage space for guests to keep away their belongings. Free WiFi service and parking facility is also available along with card payment service. CCTV cameras ensure the safety of guests. Enjoy the local cuisine at the various restaurants located in close proximity of this hotel.